iBalsamic is the new, fantastic free iphone application with many delicious recipes with a special ingredient: the delicious Balsamic Vinegar of Modena. Browsing the application menu by courses, from starters to desserts, you can play around with easy and fast recipes or, as a true gourmet, experiment with elaborate preparations. Get the necessary ingredients, follow the step by step instructions and you'll be amazed with the results! The application iBalsamic will take you to explore the full range of balsamic vinegars and glazes produced by the historical trademark of Modena, Monari Federzoni. In every recipe, you will find the degree of difficulty and the type of produces required. 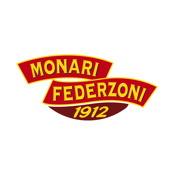 Monari Federzoni, a leading brand in the production of balsamic vinegar of Modena, wishes you "Buon Appetito"! Become an expert chef with easy recipes with balsamic vinegar and your friends will compete to be invited to dinner at your home!